After a disappointing close to the Pittsburgh Penguins’ 2014-2015 season that saw many people, hockey analysts and fans alike, calling for the removal of general manager Jim Rutherford, it would seem that the course is finally steadying. The offseason has seen a litany of moves that seem poised to address most of the areas of weakness for the franchise. 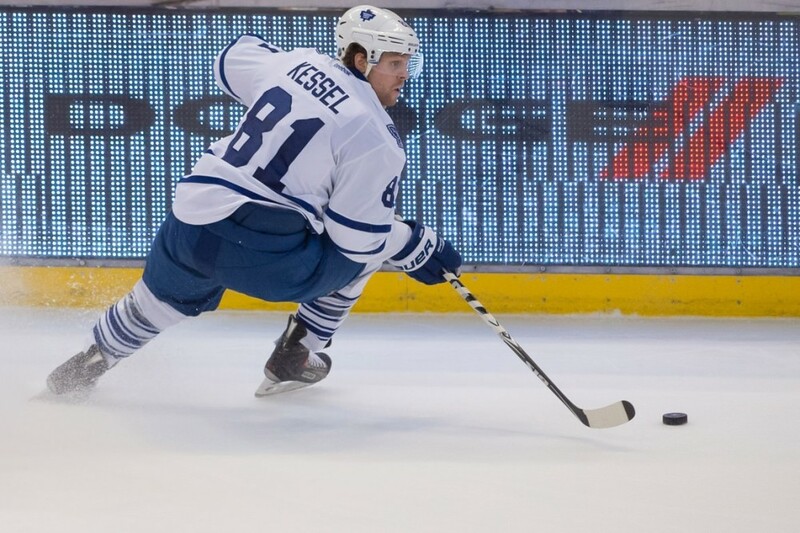 The much-highlighted addition of Phil Kessel has set the Penguins up with yet another dangerous weapon in the top-six. Being slotted alongside either Sidney Crosby or Evgeni Malkin has many wondering if Kessel could tally as many as 50 goals. Meanwhile, a number of high-quality depth moves were secured as well. The forceful forward Eric Fehr was stolen away from the Washington Capitals, Nick Bonino and Adam Clendening were both acquired from the Vancouver Canucks in return for the overpriced Brandon Sutter and a number of promising forwards were brought in from the KHL, including Sergei Plotnikov. So, to borrow from the simple yet elegant words of fellow Penguins writer Michael Pityk, these Pittsburgh Penguins have truly become Jim Rutherford’s team. His guiding hand has overseen the greatest retooling of the roster in several seasons. There are some factors that any amount of roster rebuilding cannot anticipate. 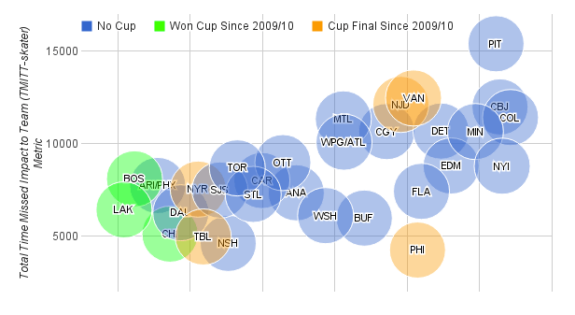 For example, since 2009, the Penguins have lost the most man games to injury by a country mile. During Rutherford’s first season with the team, the Penguins lost 343 man games. Season ending injuries to Olli Maatta and Pascal Dupuis, as well as prolonged abscesses from Christian Ehrhoff (who has since departed for Los Angeles), Kris Letang and several others made the year a war of attrition. The depleted force staggered into the playoffs and fought valiantly before being eliminated by the New York Rangers. But with the hard work and earnest wheeling and dealing from Rutherford, Penguins fans should feel encouraged by the latest developments with the squad. The management has clearly been paying attention to advanced statistics and, as a result, head coach Mike Johnston should have a lineup much better equipped to carry out his puck possession game plan rather than the dump and chase formula they were forced into at the end of last season. From the time of this writing, the regular season is 45 days away and, thanks to Jim Rutherford, the Pittsburgh Penguins finally look like contenders once again for the first time in quite awhile.